Border Terriers have been in my life since I brought my first one home (Bessie) in 1988. Wanting one only as a pet, I promised my breeder, Barbara Kemp, that I would show her since she was considered show quality. Certain I would fall on my face, I entered my first show and won a blue ribbon. The rest is history! It wasn't long before I developed life long friendships, bred my first BT litter and showed one of the puppies to her championship and a big win of the BTCA National Specialty Sweepstakes in 1991. I won this honor one more time with a future son of Bessie in 1995. 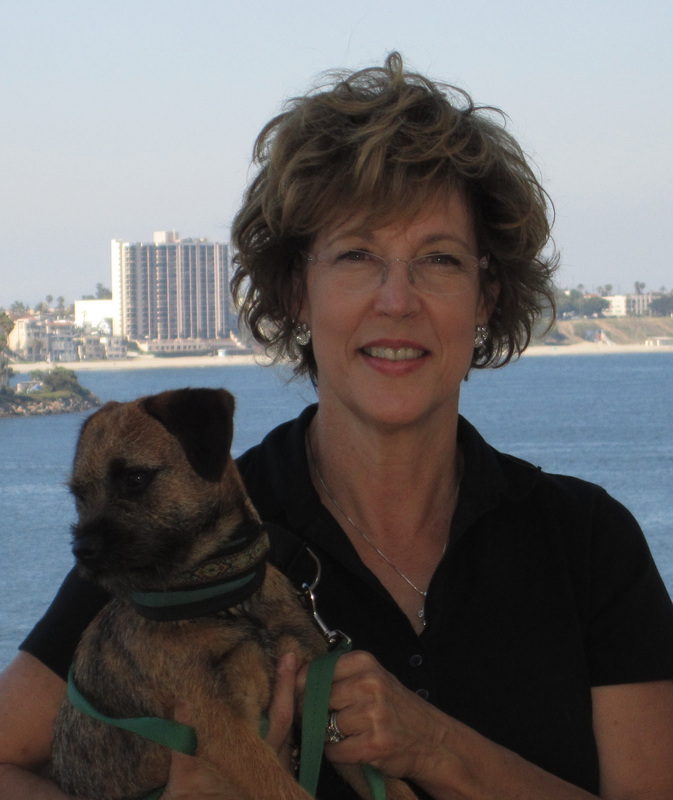 Today I am the BTCA AKC Gazette columnist for the breed. 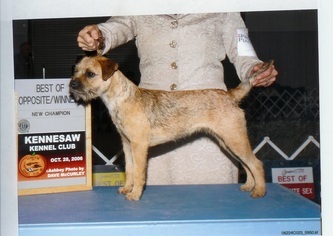 I have my AKC provisional status to judge this wonderful terrier. I have bred many champions and produced beautiful Border Terriers for over 24 years. 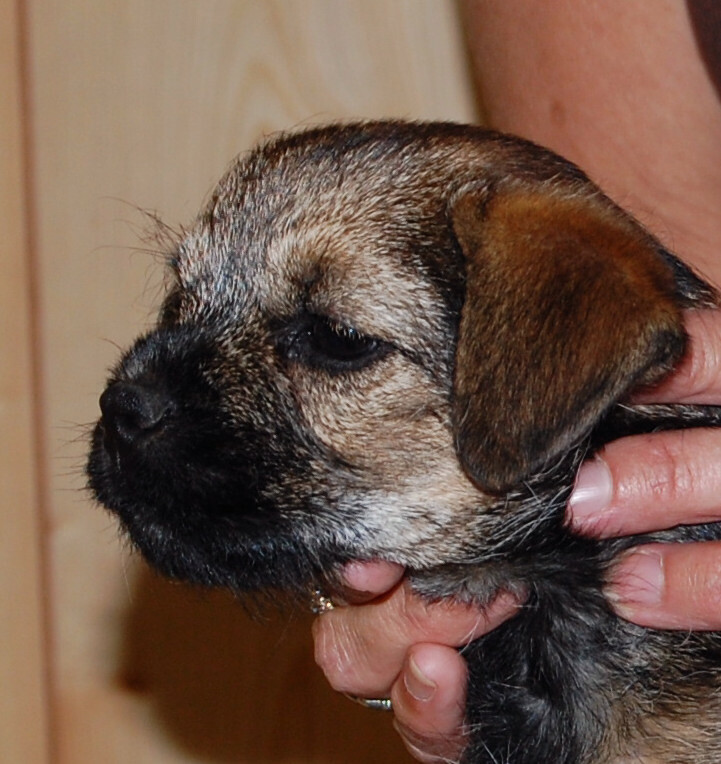 Keeping within the British tradition, I strive to produce not only well balanced attractive dogs, but also healthy ones with wonderful temperaments. All my breeding dogs are health tested. All of my litters are raised in the house with my family. I work within my home, so my dogs are in and out with me throughout the entire day.